Colin Davidson is a contemporary artist, living and working near Belfast, who is very well known for his grand scale portraits which have won widespread recognition and many international awards. His numerous sitters range from Liam Neeson to Angela Merkel and most recently he painted an official portrait of HM Queen Elizabeth II, which was unveiled in November 2016. 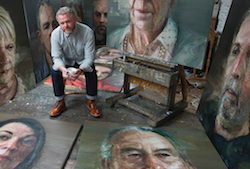 Davidson’s most recent exhibition of portrait paintings, entitled ‘Silent Testimony’, reveals the stories of eighteen people who are connected by their individual experiences of loss through the Troubles – a turbulent 30-year period in Northern Ireland from the late 1960s onwards. This critically acclaimed body of work was on show at the Ulster Museum Belfast during 2015, before embarking on a tour which includes the Centre Culturel Irlandais in Paris. Entrance by ticket only. 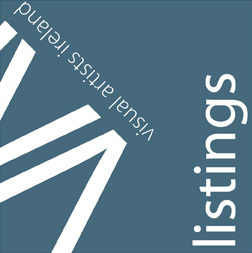 Cost £5 (£3 for Friends of the Gallery), Booking essential 028 4062 3322.